Did the FBI Use Formal Interviews With Ohr to Transmit Information From Steele? 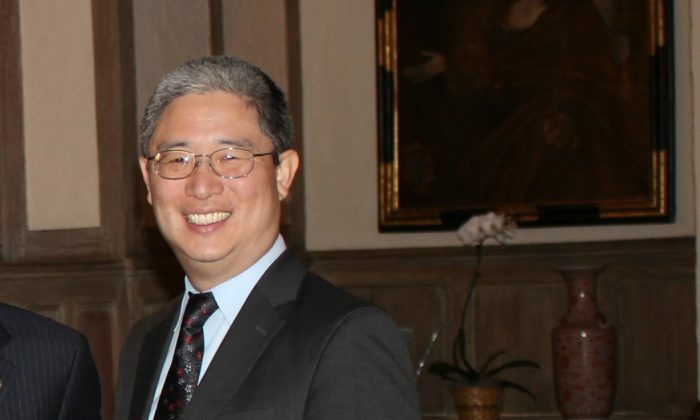 Bruce Ohr, the fourth-highest-ranking official at the Department of Justice (DOJ), actively shared information he received from former MI6 spy Christopher Steele with the FBI, after the agency had terminated Steele as a source. Interactions between Ohr and Steele stretched for months into the first year of Trump’s presidency and were documented in a number of FD-302s, memos that summarize interviews with him by the FBI. The existence of the FD-302s that detail Ohr’s interactions with Steele calls into question who at the FBI—and possibly the DOJ—was aware of his activities. As associate deputy attorney general, Ohr reported directly to Deputy Attorney General Sally Yates. Ohr first came to the public’s attention on Dec. 7, 2017, when Fox News revealed that Ohr had been in repeated contact with Steele during the 2016 presidential campaign—while Steele was in the process of constructing his dossier that contains unverified claims about Trump. Fox News also disclosed that Ohr met with Fusion GPS co-founder Glenn Simpson after the election. Fusion GPS had been hired by the Clinton presidential campaign and Democratic National Committee (DNC) to produce the dossier on Trump, for which the company had hired Steele. It was later revealed that Ohr met with Simpson prior to the presidential election, as well. Bruce Ohr never publicly disclosed his wife’s employment by Fusion GPS, despite a requirement to file financial disclosure forms regarding his wife’s work. Ohr was demoted following the initial Fox News report, losing his title of associate deputy attorney general and his prestigious office on the fourth floor of the Justice Building. It appears the DOJ only took action after they learned of the Fox News investigation into Ohr’s role. Newly released texts, emails, and handwritten notes have provided further insight into Ohr’s interactions with Steele and Simpson. It appears that Ohr became the conduit between Steele, Fusion GPS, and the FBI after Steele was formally terminated by the FBI in late October or early November 2016. Steele’s termination occurred after he revealed—in violation of FBI policy—his relationship with the FBI in an Oct. 30, 2016, article in Mother Jones magazine by journalist David Corn. Interactions between Ohr and Steele are highlighted in a Feb. 28, 2018, letter to DOJ Inspector General Michael Horowitz from Sen. Chuck Grassley (R-Iowa), which makes reference to documents that the DOJ provided to Grassley. Contact between Steele and Ohr continued through to at least mid-May 2017—six months after the election. We know that Steele and Fusion GPS continued their work following the 2016 election. Ohr’s role in this process is currently being investigated by Congress. “In anticipation of this interview, we request DOJ provide the Committee access to all FD-302’s written as a result of any interviews conducted by the FBI of Mr. Ohr. These should include, but not be limited to, any 302’s previously made available to other congressional committees,” the letter reads. The existence of additional FD-302s could reveal that contact between Ohr, Steele, and Simpson was more prevalent than previously thought. The fact that Ohr was able to continue his communications with Steele and funnel information into the FBI through interviews formalized in FD-302s raises the question of who in the chain of command was aware of the interactions. Information provided by Steele, which the FBI itself said it was unable to verify, played a crucial role in the FBI obtaining a FISA warrant on Trump campaign volunteer Carter Page. Information provided by Ohr could have made its way into subsequent FISA renewals. Yates signed the original FISA warrant on Page in October 2016 along with the first FISA renewal in January 2017. Ohr reported directly to Yates. Yates was present at a Jan. 5, 2017, meeting with then-President Barack Obama, then-FBI Director James Comey, then-Vice President Joe Biden, and then-national security adviser Susan Rice in the oval office of the White House. That meeting was documented in an email sent by Rice to herself and was disclosed in a letter from Grassley. According to Grassley, that meeting reportedly included a discussion of the Steele dossier and the FBI’s investigation of its claims. The FD-302s that detail the FBI interviews of Ohr might shed more light on the role that senior Obama officials played in the creation of the FBI’s counterintelligence investigation into the Trump campaign based on Steele’s information.